A little Dorothy Parker between books! Lee Ann often records classics and short stories in addition to contemporary books. She recently narrated a short story by Dorothy Parker via Listen 2 A Book. Mr. and Mrs. Wheelock live with their five-year old daughter in a small house in a tidy suburb. Although they present the picture of a happy little family, the old adage “appearances can be deceiving” could certainly apply to their household. This was American author and celebrated wit Dorothy Parker’s first published short story. To listen to a sample and/or purchase the story, head to Audible here. 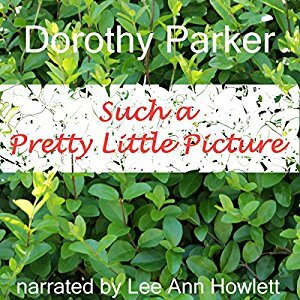 Posted by lahowlett on July 29, 2017 in Uncategorized and tagged American literature, Audible, audiobooks, Dorothy Parker, Listen2aBook.com, Short Stories.